Narcotics are capable of blocking pain signaling at the level of receptors. There are 4 types commonly used, but their side effects should be noted. Narcotics are the most potent pain killers that can effectively manage intensely severe pain without consuming toxic doses; however, due to significant addiction potential, most narcotics are available only as prescription medications and are used during procedures. However, do you know there are many varieties of narcotics nstead of just one? Narcotics are broadly classified into 4 classes, including. Opioids and opioid like agents that include codeine, morphine, tramadol and heroine (apart from heroine, all others are used as potential pain-killer medications for moderate to severe pain). Tramadol and morphine are among the most notable ones and advised as an adjuvant for anesthesia, post-surgical pain relief and terminal stages of cancer. Other notable opioids include fentanyl, buprenorphine, oxycodone, hydrocodone, propoxyphene and hydromorphone. Cannabinoids include THC (tetrahydrocannabinol), hashish and marijuana. Due to high addiction potential and risk of abuse, cannabinoids are not ideally indicated as therapeutic pain killers. According to the 2008 reports of U.S. Department of Health and Human Services, almost 15.2 million individuals (over 12 years of age) are actively involved in marijuana consumption. Long term consumption for recreational purposes is associated with deficits in coordination, memory and intellect. Besides the highest abuse potential, hallucinogens are also associated with the highest risk of side effects and much severe withdrawal symptoms and toxicities. Hallucinogens include PCP (Phencyclidine) and similar agents. Once again, like other types of narcotics, potential therapeutic benefits are over-shadowed by complications and side effects like hallucinations, flash backs, paranoia and delusions. It is almost never advised as a pain-killer. Stimulants include amphetamine, dextroamphetamine, methylphenidate and methamphetamine that are prescription drugs for the management of neuropsychiatric illnesses and issues. Illegal CNS (central nervous system) stimulants include methamphetamine, cocaine and Ecstasy. As the name suggest, CNS stimulants increase the release of impulses and creates a temporary state of euphoria. However, all the stimulants are associated with addiction potential, withdrawal symptoms and anxiety, agitation and mood disorders with prolong consumption. Narcotics exert their action by increasing the pain threshold at the level of brain. This decreases the sensation of pain and since narcotics also affect the release of brain neurotransmitters like dopamine, feeling of satiety or pleasure can be induced at moderate dosage. In case of severe pain, narcotic use decreases the demand, requirement and dose of over the counter pain killers that can affect the functioning of liver and kidney with chronic use. Sleepiness or drowsiness that may interfere with productivity and day to day activities. It is strongly indicated to avoid the use of heavy machines or performance of high risk tasks that requires higher mental activity (like driving) to avoid undesired accidents. Narcotics decrease the activity of nerves and also affect the gastric motility and constipation may be resulted with long term use. Other less reported side effects include nausea, vomiting, headache, blurring of vision and allergic response with some narcotics. In case of a history of known allergy to a drug chemical or component of formulation, it is advised to strictly avoid the use to prevent life threatening anaphylactic response. Itching and rash are also reported with moderate consumption; however, if rash or symptoms are not severe, no dose modification is needed. 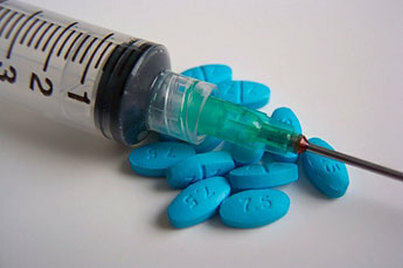 In most cases, mild symptoms associated with narcotics use disappear within a couple of weeks without any intervention. Caution must be maintained in pregnant or nursing mothers and in patients with chronic systemic diseases (especially those that involve kidney and liver- the main detoxification centers). In either case, a dose of adjustment is needed and therapeutic benefits should be weighed against potential side effects. No matter what types of narcotics you are using, narcotic side effects (or life threatening complications) can be prevented by following the dosing regimen as advised by doctor. Avoidance of alcohol and recreational drugs while on narcotic therapy. This is mandatory to avoid additive effect of recreational drugs with narcotics. If you have a prior history of drug abuse, speak to your healthcare provider about it to discuss alternative pain remedies. Always consume the narcotics by the route advised by healthcare provider. Administration of drugs via inhalational or intravenous route should be strictly avoided.